Scientists have spent years researching the human body in an attempt to understand how it works and how your health can be improved through nutrition. Yet, despite all the research, there is still much that needs to be learned! One thing is certain, there are many different substances such as steroids, which can be taken in a bid to improve your health or even to encourage muscle growth and that brings us to hormone testing. You have almost certainly heard of steroids or synthetic hormones. These are taken as an additive by many athletes to boost performance and weightlifters to increase muscle growth. This has led to the need for hormone testing to assess how much of these artificial drugs are in your system. While this is often associated with performance athletes, drug testing prevents participants from getting an unfair advantage. It is also relevant to anyone who takes steroids or even testosterone boosters. It is important to note that sports steroids are known as anabolic, while there is also a medicated version, known as Corticosteroids which are used to treat allergies, reduce inflammation and can even help with the symptoms of arthritis. That’s a good question. Who wants to learn that their favorite athlete is running on steroids via illegal substances? So yes, one is for athletes to ensure they are not abusing substances. Generally, the coach or team owner handles the testing. Other forms of steroids, as mentioned earlier, are corticosteroids used to treat a number of conditions. This requires periodical testing to assess how the body is processing the medication. How to test steroid levels in the body? As this title suggests, a sample of your saliva can be enough to show your steroid levels. This is the least invasive and the easiest method of testing your steroid hormones. All you need to do for this test is spit into a plastic tube. This can then be handed to your doctor or sent to a lab of your choice and the results will quickly be provided. It is important to note that saliva testing can show a wide range of other issues, and a general hormone level test can be completed as part of your steroid testing. This is as easy as saliva in that you simply need to provide a urine sample in a tube and have the lab assess it for you. The difference with urine is that is shows which hormones are leaving the body. This can provide clues to how well your body is functioning and specifically which chemicals are being broken down and which are leaving the body whole. 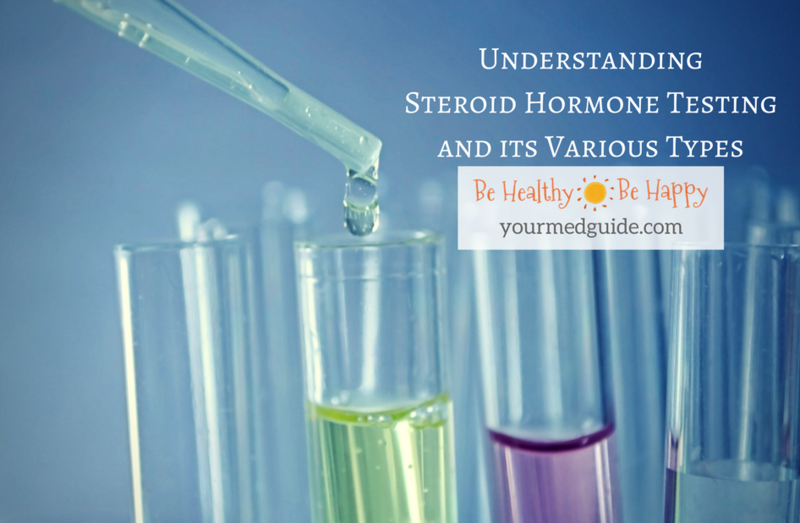 This can help to pinpoint other issues which are leading to your need for steroid hormones. In addition, it can help your medical professional assess the likelihood of you contracting an array of long-term medical issues, such as cancer. If you choose to send a urine sample to a lab you will simply need to collect your urine on specially designed filter strips. The good thing about this method is that you will need to provide several strips and these will be completed throughout the day; helping to assess how your body functions are changing through the day. Urine tests are the most popular in steroid hormone testing in sports. It is worth noting that you can also have a blood test, but as this is more invasive than saliva or urine and offers no distinct advantage, it is not the usual method employed. The truth is, hormone compounds can be attached to other proteins, causing them to also be available in the bloodstream, without being usable in the body. So a blood test may show their presence even if they play no role in the system. This can result in an inaccurate result. Compared to blood tests, urine and saliva samples are easier and more convenient as sample collection is simple and needs no professional help. Also, they are more accurate compared to blood tests since the hormones are in free form and give a clearer indication of active hormonal activity in the body in real time. What To Do With a Knocked-Out Tooth?